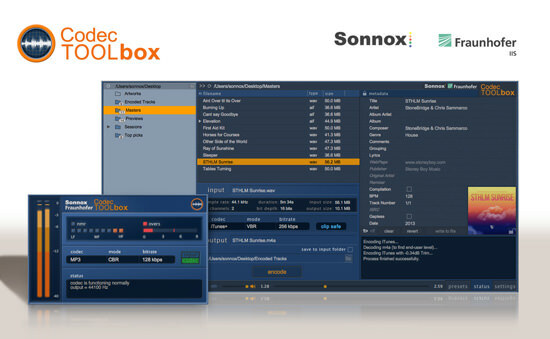 We can announce the five winners of our recent competition to win a copy of Sonnox’s new Codec Toolbox application and plug-in. In no particular order they are…. I am a freelance audio engineer and graduated with honours from the SAE Institute. I do recording, editing and mixing. Much of my work is doing editing and cleaning for podcasts and working with underground bands or rappers. I plan on using the Codec Toolbox as a great way to audition and print out songs in the formats that my clients ask for. The metadata section of the toolbox is perfect for when I am mixing singles for a client who does not have the budget to really go to big facilities to mix, master and print out songs with meta data. The Codec Toolbox is also going to be used whenever I have to mix and master for a Mix tape. I am an instructor at The Institute of Production and Recording. I also have a studio of my own in downtown Minneapolis, Minnesota. I will be using the Sonnox Codec Toolbox to give my clients the highest quality mp3’s of their songs so they can post their songs to the Web. Thanks to Pro Tools Expert and Sonnox for the plug-in. I am based in the Netherlands where I have been working as a live sound engineer nationally and internationally on a freelance basis since May 1997, gaining over 16 years experience in a wide variety of event types like concerts, theatre and broadcast. Besides i have an hybrid mixing studio where I mixed and mastered several live and studio recordings for cd release. I will be using the codec toolbox mainly for checking my mixes in the mp3 domain, checking the overs and add metadata. Hi everybody in the Pro Tools Expert community. 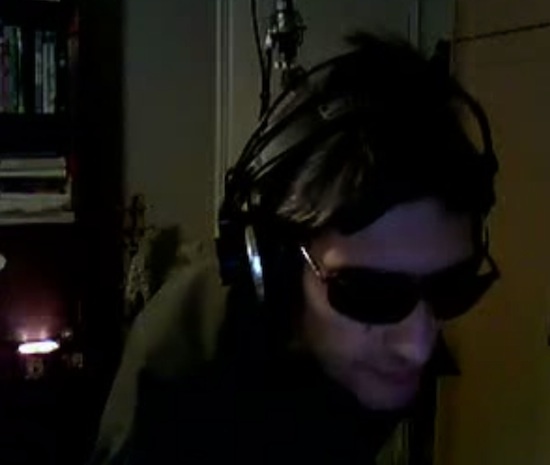 I’m a musician, composer and sound engineer from Greece. I do the most of my productions at my home studio. I’m very happy that I win a copy of the Sonnox Codec Toolbox. As the name says this is the right tool to encode your music with high quality codecs. I’m very curious to use it and I can’t see the time to do it! I believe that from now on I’ll be using Sonnox Codec Toolbox on every project I do. Once again I want to thank you all at Pro Tools Expert. Keep on this great site, this great work! Thanks to Sonnox too! I’m a Dutch audio engineer working on different projects everyday. I do musicals, radio jingles, tv tunes and cd/dvd recordings in live or studio environment. One of the many things I’ll be using the Codec Toolbox for is encoding my files that I need to send to different people. Now I am working on a Musical project I need to send a lot of practice demo’s. How can I be sure that the people will know that it is a demo and that the file is not to big? By encoding the file in the Codec Toolbox. I did a comparison with encoding in iTunes and found the encoding from wav to mp3 in the Toolbox much better sounding. It is a slight difference but noticeable even by my dad!. An amazing feature is listening to different bit rates to know how low I can go before ruining the sound. I am happy to be part of the Pro-Tools Expert community. Congratulations to you all and don’t forget to check out our Competitions page as we have The Big One running right now. Sign up to have a chance of winning over $20,000 worth of studio equipment and software.